Mr Green Casino, which offers one of the most diverse portfolio of titles in its games lobby, has signed an agreement that will see the group add 150 more games to its platform. According to the online casino, it has signed a deal with Pragmatic Play to provide a selection of digital casino games to the gaming site. Players at Mr Green Casino will now be able to access an excellent range of new HTML5 games that can be enjoyed on both desktop and mobile platforms. Some of the Pragmatic Play games added to Mr Green Casino’s arsenal include Lady Godiva slot, Mighty Kong slot, Magic Crystals slot, Queen of Gold slot and Sugar Rush slot. The head of sales and business development at Pragmatic Play, Yossi Barzely said that the group invests in research and development, as well as in its staff, to support its customers’ diverse business needs. “It is therefore a testament to this strategy that Mr Green has decided to provide Pragmatic Play’s games content for their players,” he said. The chief executive of Mr Green, Jesper Karrbrink added that Pragmatic Play has demonstrated that their business is one of the fastest growing casino games providers in the industry. “Their portfolio of unique games content allows our brand to continue to improve our casino product offering and user experience, which are key elements in our business and market expansion strategy,” he said. Leading internet betting group Playtech, is pleased to announce that they have entered into a partnership agreement with data analytics specialist Featurespace that will see it use the group’s fraud prevention product in order to protect operators from devious financial predators. In terms of the deal Featurespace’s real-time, machine learning platform ARIC, which has a range of risk and fraud management tools, will be integrated into Playtech’s player management system. The tool alerts Playtech should it detect strange betting patterns or any other unusual account activity in individual player behavior and Playtech then forwards the information to the operator in an endeavor to prevent fraud and other criminal activity. Operators can then strengthen their risk management and slash fraud losses which will help them to increase revenue. Shimon Akad, Chief Operating Officer at Playtech, commented on the new deal by saying that Playtech has a proven track record in delivering the most advanced fraud prevention and risk management software and services to their licensees. He also said that they are therefore delighted to be partnering with Featurespace in order to offer their licensees access to an additional sophisticated, best-of-breed fraud prevention solution. Akad went on to say that this arrangement further enhances their commitment to their customers and their players with the best gaming experience in the industry. Martina King, Chief Executive Officer at Featurespace, said that they are extremely proud to partner with Playtech as both companies are committed to providing innovative solutions to the gaming sector and this partnership will enable real-time access to an enhanced level of protection for Playtech’s customers. Microgaming, a leading developer of casino, poker and bingo software to gaming brands worldwide, is absolutely thrilled to announce that the company won an award in the category of Mobile Product at the 10th International Gaming Awards that was held on Monday, 6th February 2017 at the InterContinental London Park Lane. Since developing the first ever mobile casino software in 2004, the company has endeavored to remain at the forefront of the industry and has since created a vast portfolio of mobile games, consisting of more than 350 innovative titles playable across over 3,000 devices. 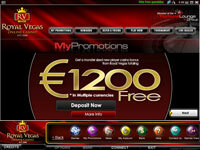 There are currently over 350 online gaming brands that access Microgaming’s mobile products. Microgaming not only holds the Guinness World Record for the biggest jackpot win on slots but also now holds the record for having the biggest mobile jackpot win. This comes after a lucky mobile player, D.P., won an incredible amount of €7,968,311.26 after hitting the progressive jackpot on Microgaming’s Mega Moolah progressive slot game in August of last year. The Chief Executive Officer of Microgaming, Roger Raatgever, commented on the company’s latest award by saying that they are extremely proud to win the award for Mobile Product. He added that they predicted that mobile would be the future of gaming back in 2004 when they created the world’s first mobile casino software, and they have not looked back. Raatgever went on to say that it is great to receive recognition for their hard work and to be viewed by the industry as having the best mobile product out there. He added that this is the perfect way to start what is sure to be the most incredible ICE Totally Gaming for Microgaming. A lucky university student from Uruguay has become the very first jackpot winner on the million dollar Millionaires Island progressive slot, which is exclusive to Amaya Inc.’s PokerStars Casino. 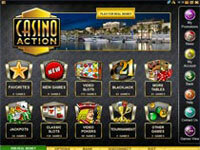 The player, who is only known as “LuisCancelaU” managed to turn a mere $1.00 into a whopping sum of $1,517,303.08 after playing the slot game for only three minutes and spinning just 17 times before 4 Millionaires Island symbols appeared on the reels of the game, leaving him to get just one more symbol in order to hit the jackpot. The 26 year old player was convinced that the 5th symbol would not appear as, according to him “these things don’t happen”. However, the fifth symbol did appear and the jackpot feature went off to celebrate the lucky player’s life-changing winning moment. The winner revealed that he started shouting and shaking his brother who was looking at him completely perplexed and they hugged and cried after showing him his account. He went on to say that they would now be in a position to give something back to their parents who have fought very hard to give them anything they needed. Bo Wanghammar, Director of PokerStars Casino, said that they are truly delighted for “LuisCancelaU. He added that they knew it would not take long to create a millionaire after their exclusive slot received incredibly early play. Wanghammar went on to say that it shows that life changing winning moments are accessible to anyone who wants to play for them and they are looking forward to making more winners from their growing slot portfolio. Though, few concentrated games have now become the most popular casino games, but this is also true that all time traditional casino games like Roulette still have the biggest fans following. In fact, this game is the identity of a casino; you can’t assume any gambling zone without rolling wheels of the most loved money spinning game. To explore the new horizon in contemporary casinos, Authentic Gaming has launched its ‘Authentic Live Roulette’ solution on its partner casino brand Kindred Group. 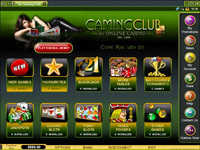 The latest solutions has several variants of the popular traditional casino game to suite different kinds of players needs and includes live streams of roulette tables at a number of high-profile casinos hence players will be able to access several variants of the table game at one single place which is going to be helpful for those who love the game and always prefer to try their luck on a Roulette table.